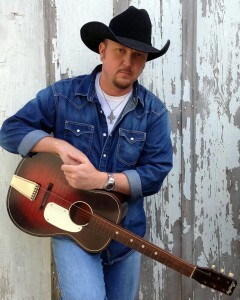 Phil Vandel is a country music artist from Missouri that has performed shows all around the world. For over a decade Phil has devoted his life to making a difference in the lives of those who serve or have served in the United States Armed Forces. Phil has worked with so many wonderful organizations like American Airlines, NCOA, USO, Snowball Express, and others to raise awareness and financial support for an array of vital charities helping active military members, wounded warriors, and the families of the fallen. Phil’s efforts have allowed him many opportunities to bring his music throughout America, Canada, Mexico, Iraq, Germany, Bahrain, and Kuwait. Unknowingly, in May 2010, he set a record by performing the most “full band” shows on a single tour to Iraq. Phil and his band logged 18 performances at different bases in just 9 days. Phil’s willingness to travel to some of the most desolate and dangerous locations to bring a little piece of home through his music has earned him many life-long friends and countless fans in the Military community. In May 2013, Phil was in Texas shooting a music video for NCOA and was invited to attend a private screening of a director’s cut of “The Hornet’s Nest” with his friends, Clifford “Scoop” Davis (NCOA, Executive Director) and Bob Vincent (Orchard Group Productions). “No one at that theater came prepared for the impact the film would have on their lives. I was especially moved by a specific scene of the movie where there are 6 battlefield crosses lined up at the front of a tent for a memorial ceremony. During that service, this haunting final role call is performed with six names remaining unanswered. Each one of the troops in attendance paid their final respects then exited quietly. The song, “Tears Of War” features Phil Vandel (Vocals, Acoustic Guitars, Mandolin, Bass Guitar, and Percussion) and Joe Brooks (Accordion).